Everything went smoothly apart from exiting the Luton short-term car park. The machine requested a payment of £196 when I inserted my ticket, however I had of course booked and prepaid Holiday Extras a substantially lower figure. The issue was quickly resolved when I pressed the assistance button on the ticket machine. Our customers rated Short Stay Parking on average 8/10 (1369 reviews). Read Short Stay Parking reviews. 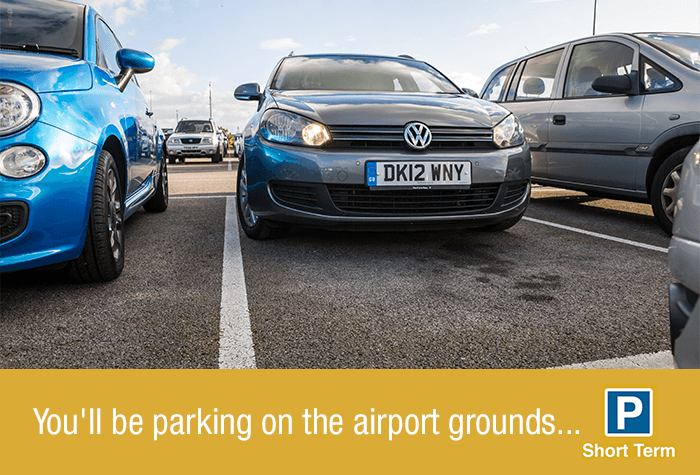 The Short Term car park is located right outside the terminal, making it one of the most convenient options for parking at Luton. 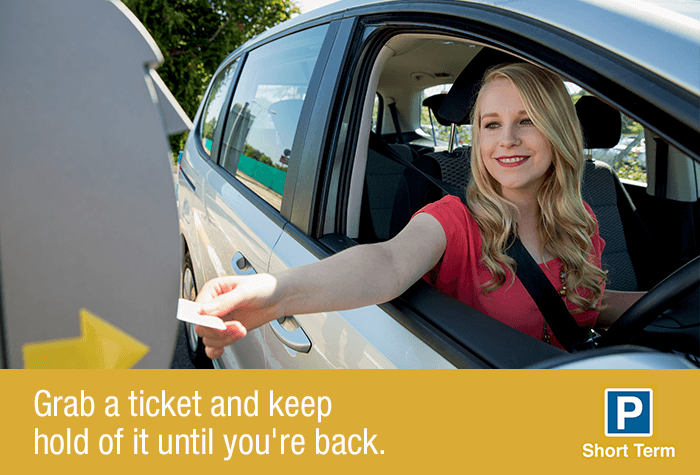 Drive to the car park and collect a ticket from the barrier when you arrive. Find a space to park and then youre good to go. Remember to bring your booking confirmation with you. 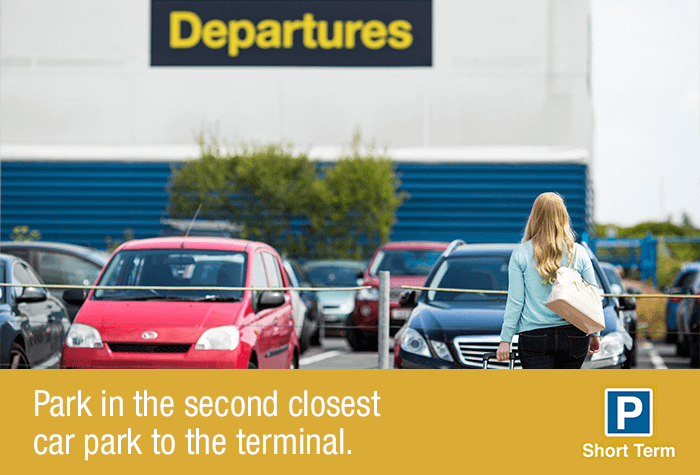 To reach the terminal its a 2-minute walk from the car park. 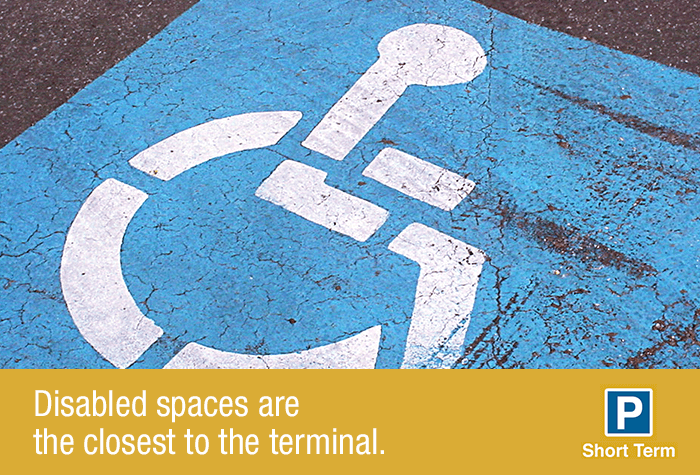 The car park has Blue Badge bays nearest the terminal. 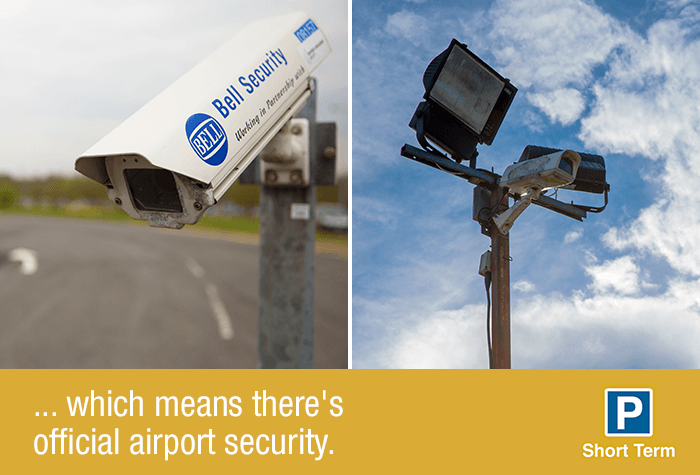 You'll just need to validate your badge at the Priority Parking reception. 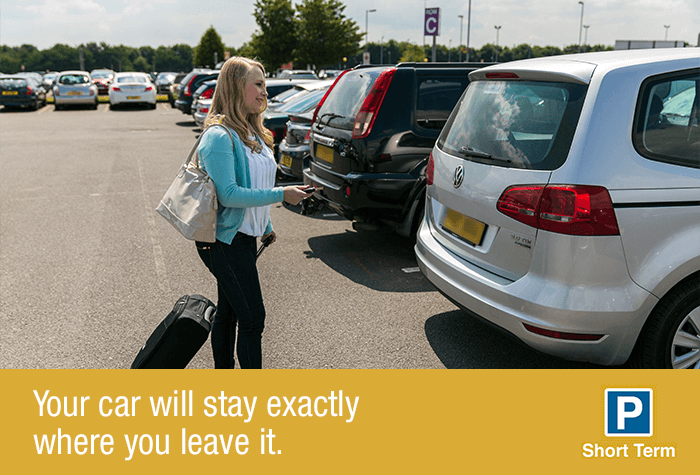 If you're delayed picking your car up, you'll need to pay for the extra parking at the car park's normal rate. If you come back early, unfortunately we can't give you a refund for the time you've not used. When you arrive at the Short Term car park take a ticket from the barrier and drive inside. 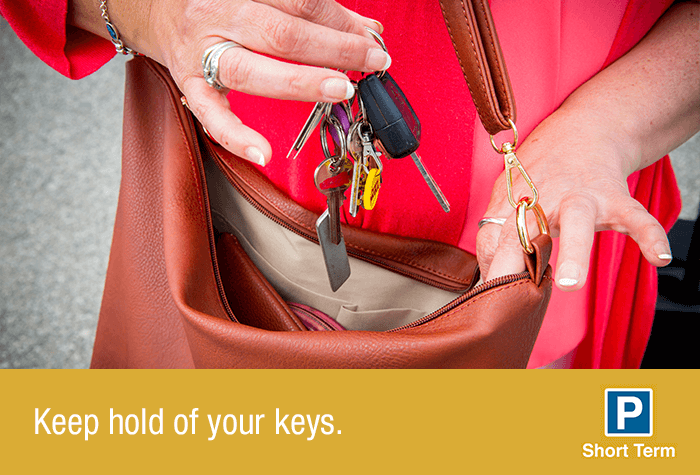 Park your car in any available space and keep hold your keys. Dont lose your ticket as youll need it when you get back. 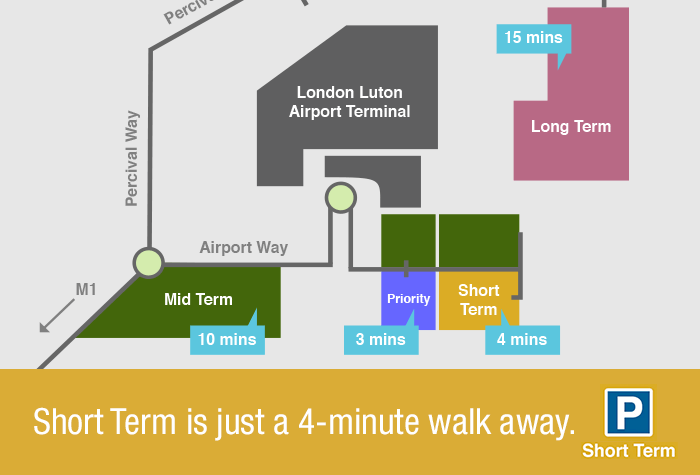 Walk to the terminal, just 2 minutes away. Well give you full driving directions to the car park in your confirmation email. After you land return to the car park and pick up your car. On your way out insert your ticket and it will lift to let you out.